Hello my dear friends! Thank you so much for popping by and visiting NatashainOz.com today! Thanks also for joining me for this week's Tuesday Tune post! 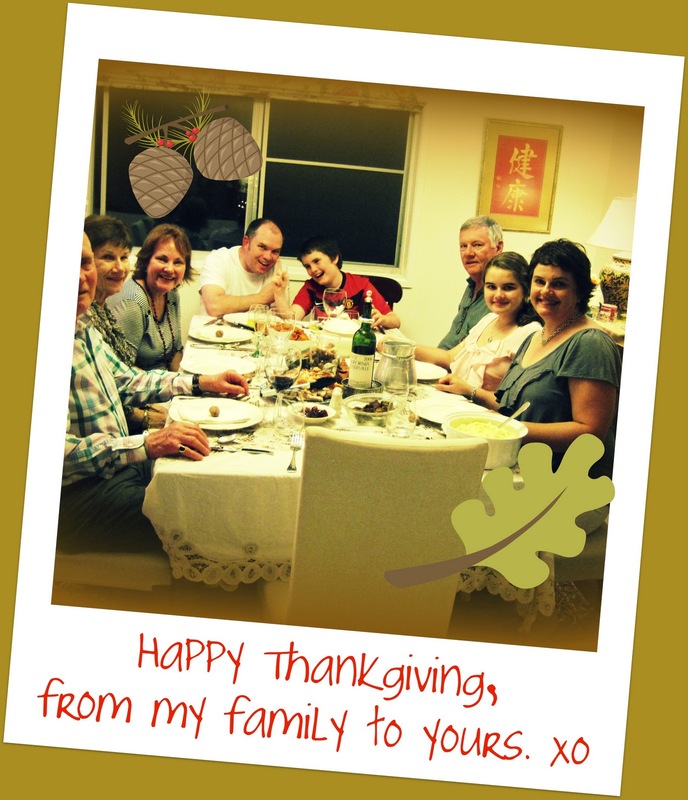 Today I am taking time to give thanks for Thanksgiving by sharing a Thanksgiving post, something my Aussie friends might think is a little strange! I'm not sure if many of my American friends know this but we don't celebrate Thanksgiving here in Australia. That really makes me sad as I really love the idea of taking time to give thanks for our family, friends, health and other blessings in our lives. 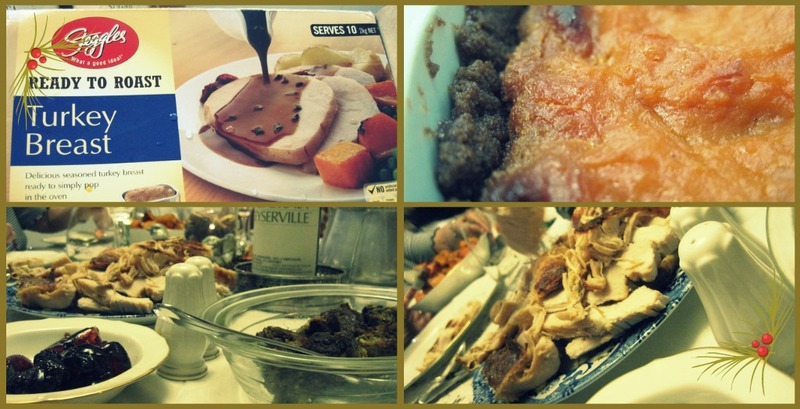 So, a few years ago, I decided that our little family should have a yearly Thanksgiving dinner so we too could take time out of our busy week to be with our family and give thanks. We begin our meal with Grace and then we have a "Thankful Circle" where everyone at the table shares their thoughts and says "Thank You" for something they are grateful for. Since I love all things American, I try to make it as American as possible by keeping to a Fall theme (even though it's Spring here) and I even buy American red wine and make American food. Each year I make a turkey buff, roasted vegetables and a delicious pie! 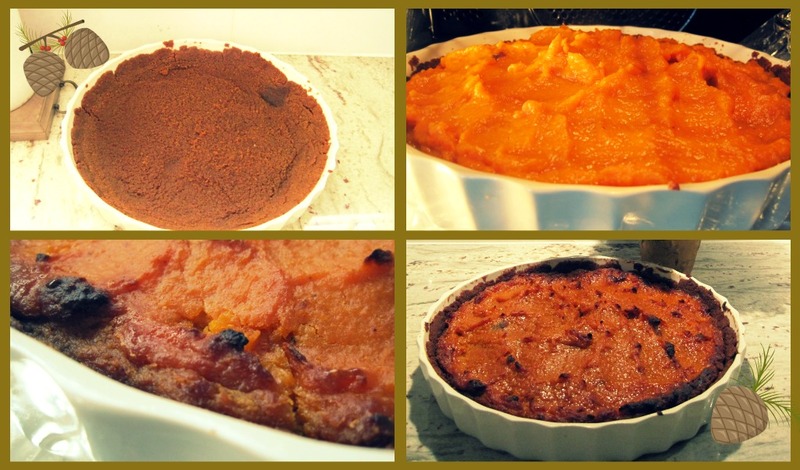 I usually make a pumpkin pie with Libbie's canned pumpkin but I thought I might try a sweet potato version last year and I am so glad I did-it was delicious! 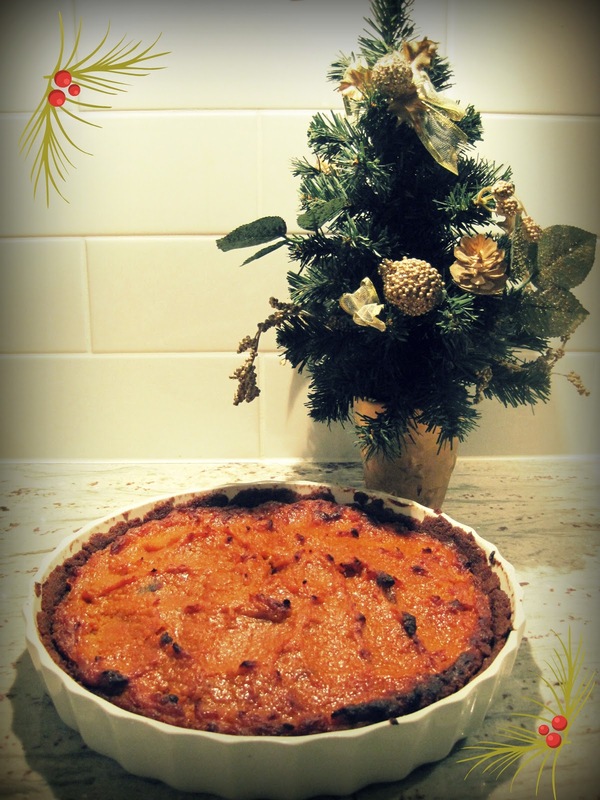 Here is my famous Sweet Potato Pie Recipe! Some recipes suggest boiling the sweet potato whole, in skin, for 40 to 50 minutes, or until done and then running cold water over the sweet potato and removing the skin. I actually bake mine, chopped, peeled and sprinkled with cinnamon, maple syrup and a little bit of vegetable oil. I think the caramelised sweet potato tastes amazing so if you haven't tried it baked then give it a try! Anyway, when the potato is cooked, add butter and mix well with mixer. Stir in sugar, milk, eggs, nutmeg, cinnamon and vanilla. Beat on medium speed until mixture is smooth. Pour filling into an unbaked pie crust. Bake at 350 degrees F (175 degrees C) for 55 to 60 minutes, or until knife inserted in center comes out clean. Serve with cream, eat and enjoy, maybe while listening to Ray Charles singing "Sweet Potato Pie"! So as you can see, I really do love Thanksgiving and even though I am not American, I am so glad we celebrate it in our family each year. So, wherever you might be in the world, I hope that you might find some time this week to give thanks for the sweet blessings in your lives. Thank you also to all of my blogging friends who have made this year so special and rewarding for me. I truly appreciate your friendship, support, kindness, comments, linky love and so much more...Thank you! Happy Thanksgiving and I will see you Saturday for this week's Say G'Day Saturday Party! What a sweet post...you must be part American, or better still ... Part Texan! Loved every word and every photograph...especially the one of you and your family! Enjoy your Thanksgiving! I'm not sure I could bear eating a roast in this heat, but that meal looks amazing even still! I have to agree, it seems a shame we don't have an Australia holiday dedicated to being thankful. A family dinner to be thankful - we really should, shouldn't we? WhAT a lovely post my friend, and such a good ideas of yours to also hold a Thanksgiving Dinner in America. We should all do it, as we all have so much to be thankful for. Love it that you also keep it to an American theme. Lovely photo of all the family at the end. I did not realize that Aussies did not have their own Thanksgiving. I think it is so awesome that you try to have a day of thanksgiving like we do. This was such a sweet post and I am so glad you are part of our blog family. Beautiful post. I agree, everyone should set a special day to give thanks for what we are blessed with. I really enjoyed seeing the pictures of your Thanksgiving. Happy American Thanksgiving in Australia Natasha to you and all your family. How how awesome is that!?!? and your table, want to come set mine for me?? I did not know that Australia does not typically celebrate Thanksgiving. Your table looks absolutely gorgeous! Thanks for the recipes also. Natasha, how wonderful that you have taken on this tradition in your home! It is a wonderful holiday - giving thanks for all we have been given and enjoying time with one another. It's also great to enjoy some down-time with the my husband and kids. Enjoy your meal and Happy Thanksgiving! Love this post. Your table is beautiful. Thanks for the recipe. Everything you shared here looks lovely! Especially your family photo around your table :o) Have a wonderful wonderful day of Thanksgiving every day! Dang you dinner looks amazing and good for you for celebrating it anyways! Thanks for linking up to my blog!!! What a wonderful idea. I'm glad you're sharing your Thanksgiving with us. Happy Thanksgiving! I am grateful to know you and think your Thanksgiving spread is delightful! Let me tell you, although I am Mexican woman, I have celebrated Thanksgiving twenty or more year ago. In my English Languange School, they taught me this beautiful radition. And My husband and I have it adopted. I write some of this in my blog. You photo with your family is very nice, I send you to your family a great hugh. Natasha..I officially dub you 'American'. Lol! Really, though, anyone who takes a day to thank the Lord for his provision for us each year, and the many answers to prayer...is celebrating the heart of Thanksgiving. You are the best! What a wonderful Thanksgiving celebration! It is a special day to remember what we are thankful for and how lucky we are! God bless you and your family! I really enjoyed reading this post! Happy Thanksgiving! I'm so glad that you "borrowed" this holiday to make such a wonderful tradition for your family. I'll bet they love it! So lovely, I'm in Canada so we have our Thanksgiving in October but there is always time for extra thanks. Very glad that you were able to join us at Pin'Inspiration Thursday. I'm so happy you adopted Thanksgiving and enjoy it with your family. A number of years ago, I worked with a man who was in the USA on assignment. We invited him and his family to our house for American Thanksgiving and we all had a great time. It helped us see the holiday through fresh eyes. I think everyone should have a day to say thanks for all we are blessed with. What a very "fall-like" centerpiece you created in your spring! It's so nice to see your smiling faces from so far away! Too cute! I was actually thinking about you yesterday, Natasha, wondering what y'all do in Austrailia--if anything--like our American Thanksgiving. This post is so sweet! What a splendid table you've set for Thanksgiving. Especially since your area is in Spring weather. I think perhaps you'll start a new trend.....we're all better when we take time to give thanks and express gratitude. I so love this holiday. Happy Thanksgiving to you & the family. Fabulous post and agree with you it is a great holiday to adopt. Love the concept of simply being thankful for what is good in your world. hi! Just wanted to let you know I am going to be featuring this on Tuesday at this weeks Tasty Tuesday Party. Come by and grab a featured button. Thanks for linking up! That's awesome! Love your table - simple yet elegant. Thanks for sharing your Thanksgiving dinner table with us. I love the picture at the end with all of you at the table! Happy thanksgiving. Your table settings are beautiful. And your pie looks so yummy. Thank you for sharing and for linking up to last weeks show and share party. Please come back this week and share your latest project with us. It's my pleasure to feature this awesome recipe in my Fabulous Friday Favorites tonight. Thanks so much for sharing it! Feel free to take an "I Was Featured" button. And I'd love to see you again next Friday!